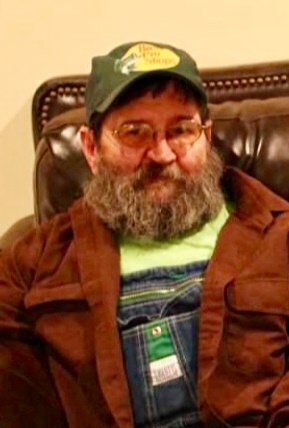 Joseph Edward "Bucky" Barr, age 67 of Rhodelia, KY died Sunday, February 3, 2019 at Hardinsburg Nursing & Rehab Center where he had been a resident for the past three years. He was born in Jefferson County, KY on November 15, 1951, the son of the late Joseph Leon and Elizabeth Bernadine Hardin Barr. Bucky retired from Norstam Veneers and was a member of St. Theresa Catholic Church. He enjoyed being outdoors - fishing, hunting, logging and his mules. He was a familiar face behind the bar serving customers at Rhodes's Place and Freddies. Funeral services will be held at St. Theresa Catholic Church 9245 Rhodelia Road Payneville, KY 40157 on Thursday, 2-7-2019 at 11 AM central time. Burial will be in the church cemetery. Visitation will be held at Trent-Dowell Funeral Home 308 South Hardin Street Hardinsburg, KY 40143 on Wednesday, 3:30 - 8 PM central time and Thursday, 8-10:15 AM central time. A prayer service will be held at the funeral home on Wednesday at 6:30 pm central time. Expressions of sympathy are suggested to the American Stroke Foundation 6045 Metcalf Avenue, Suite 214 Overland Park, KS 66202.